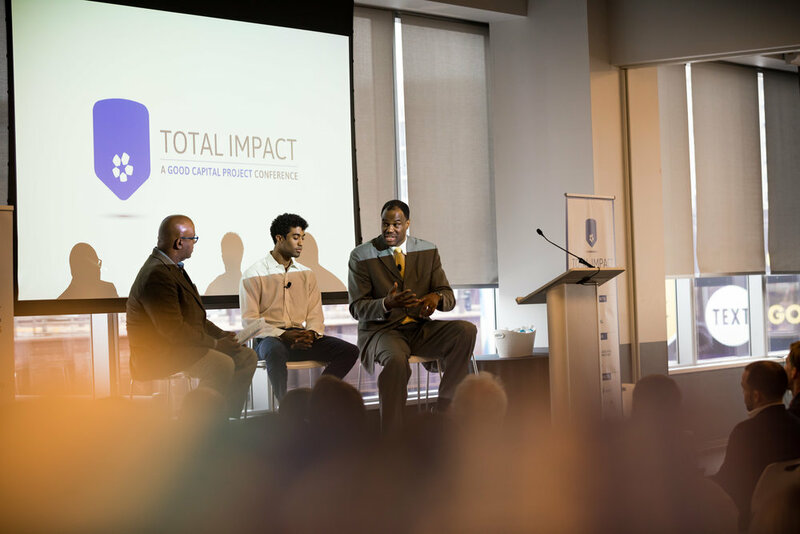 The inaugural Total Impact conference was held in Philadelphia in April 2018. In partnership with ImpactPHL, Good Capital Project hosted over 300 practitioners, thought leaders, advisors, and investors. More videos from TI Philadelphia coming soon. 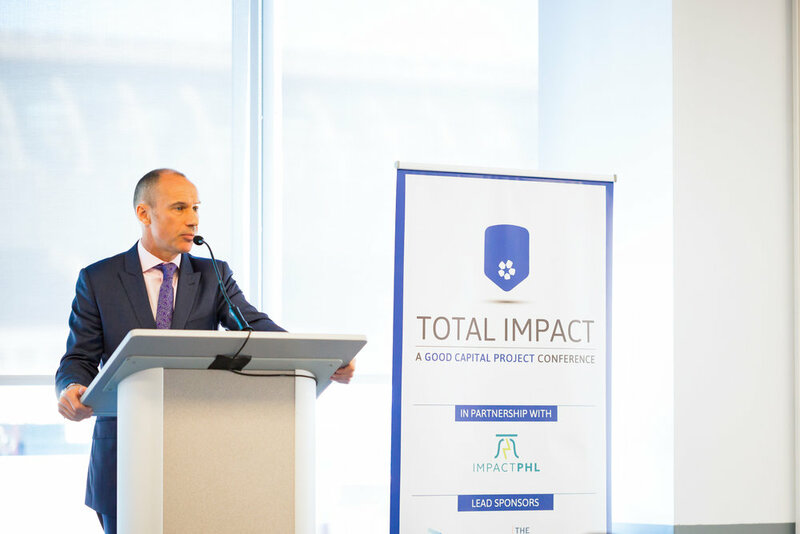 Introduction to the purpose and objectives of Total Impact, focusing on its importance to capital markets and its importance to Philadelphia. Perspective on the critical role of advisors and their leadership in meeting clients’ growing demand for impact investing and influencing a more value-driven investment approach. Exploration of the fundamental definitions of investment strategies and frameworks along the spectrum - ESG, negative screening,SRI, impact investing, and the Sustainable Development Goals. Impact investing around the globe. 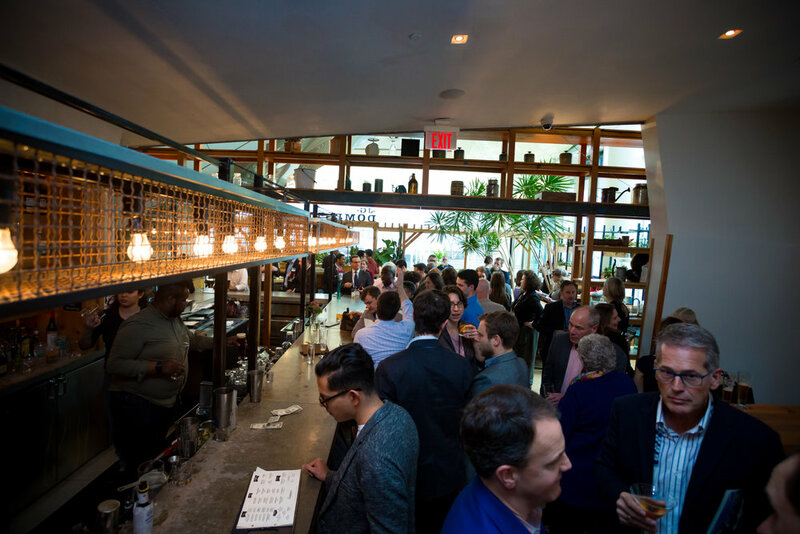 The amazing story of Philly's own B Lab and its global impact on businesses and communities. EQUITIES: ARE IMPACT MANAGERS THE NEW ACTIVIST MANAGERS? How do leading equity portfolio managers optimize strategies to accomplish maximum social impact while achieving competitive financial returns? A discussion around municipal bonds, social impact bonds, microfinance, community notes and other fixed income products and strategies to help achieve social impact across the risk-return spectrum. 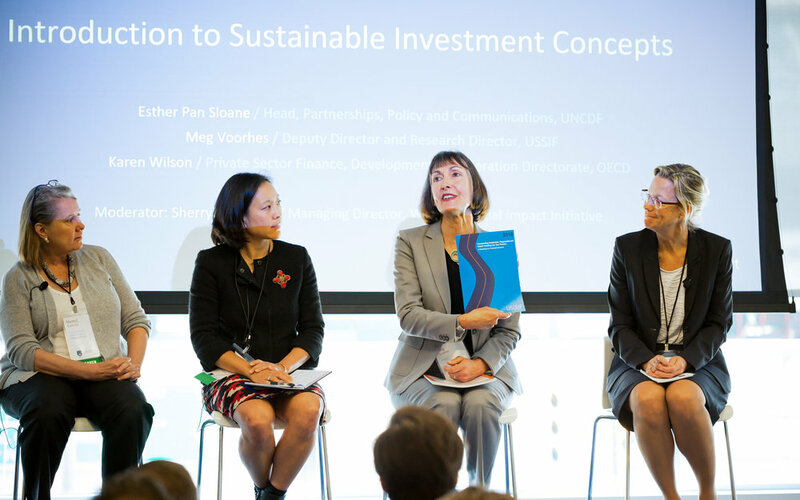 Women and millennials are leading the demand for sustainable investment products. How are asset managers and advisors preparing to address their needs? Learn from some of the industry’s leading experts on new measurement standards, the direction that impact measurement is taking to reflect the needs of asset owners and managers, and M&E tools available to practitioners. A discussion by experts on best practices in constructing and executing impact portfolios, highlighting useful research tools and educational resources. 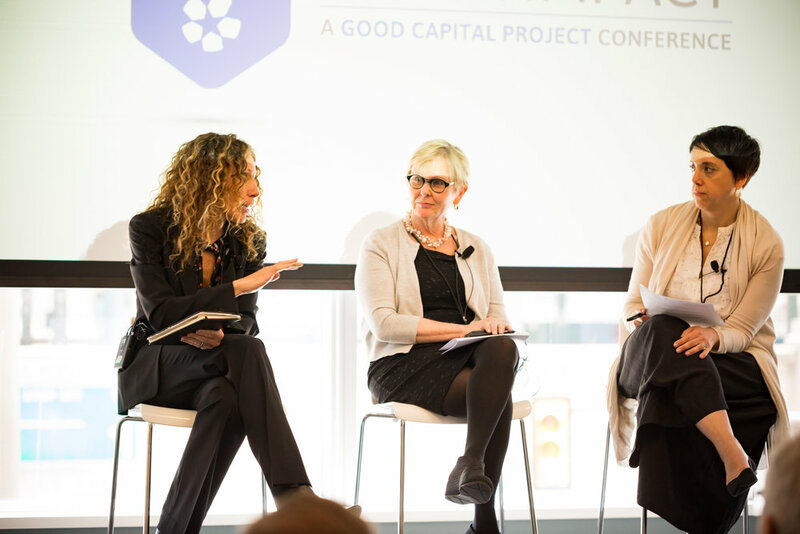 Hear a moderated panel of organizations with a dedicated mission to help clients and investors incorporate positive social impact into their portfolio performance. Be inspired by the tireless advocate who has created a successful model to break the cycle of homelessness in Philadelphia. Project HOME’s model has been replicated across the U.S. and is a shining example of a sustainable solution to one of the most persistent challenges of our times. The impact of intentionality on a community. 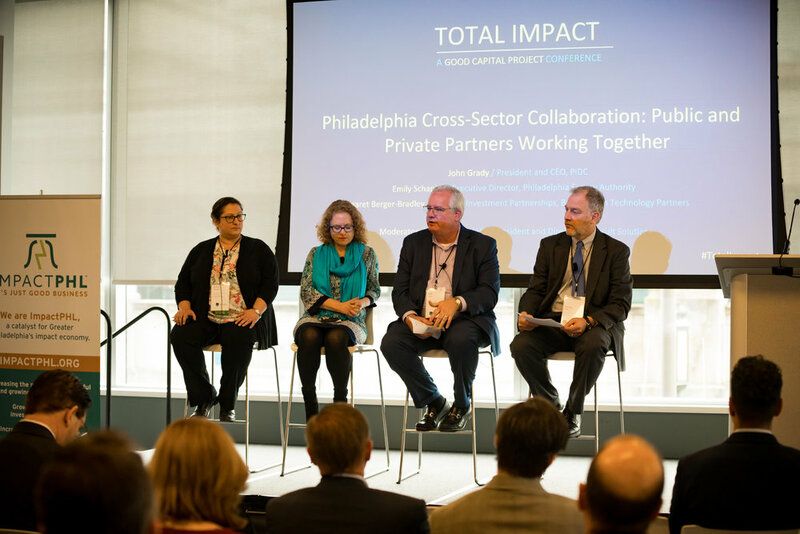 Hear from some of Philadelphia's leading experts on public/private partnerships and the joint impact they have on communities and neighborhoods. How does impact investing fit into the fiduciary standards of an advisor, trustee or board member? Hear from leading practitioners and legal experts. Power is shifting in the world: downward from national governments and states to cities and metropolitan communities; horizontally from the public sector to networks of public, private and civic actors; and globally along circuits of capital, trade, and innovation. More about how this changing dynamic is affecting local economies. Hear from NBA Hall of Famer, philanthropist, and investor. 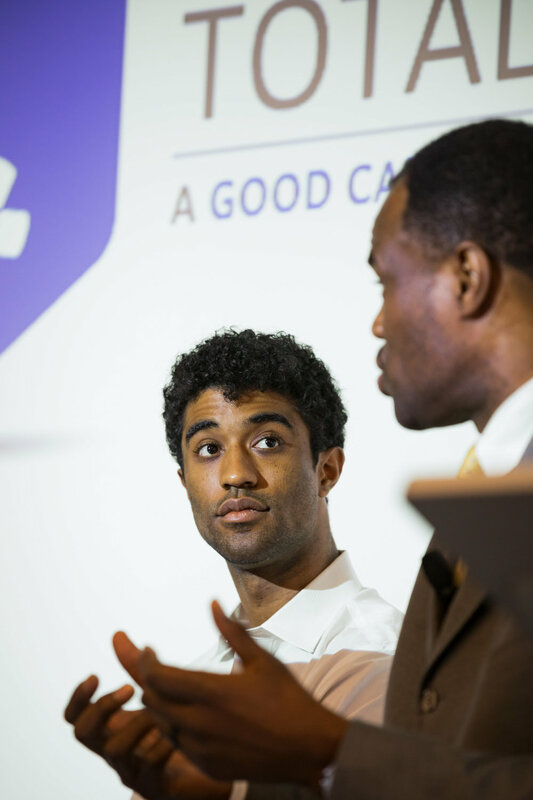 David Robinson and David Robinson Jr. about their journey from investors and philanthropists to impact investors. It is a classic example of investment firms embracing impact as a core business strategy. 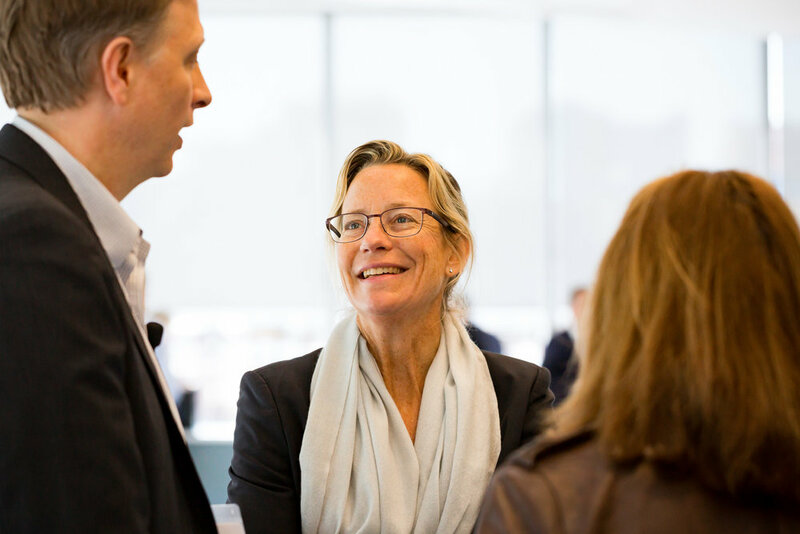 Leading private equity investors discuss how they achieve success in their portfolios and what additional due diligence and expertise is needed to successfully achieve social impact into their results. How environmentally progressive and socially responsible real estate projects achieve better returns, communities, and ecosystems. In Philadelphia, cross-sector stakeholders are coming together in new ways to accelerate the region’s local impact economy. 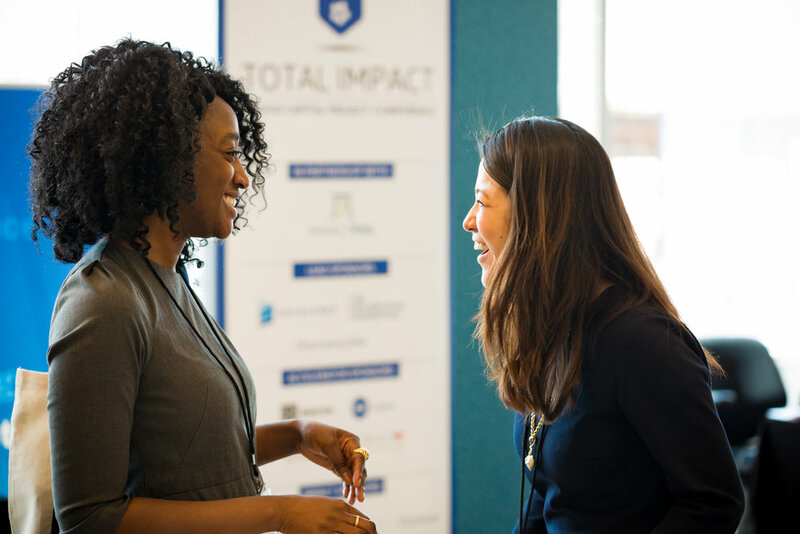 With sights on becoming a nationally-leading city for impact, join ImpactPHL as they launch their inaugural, 2018 Leaders Program. 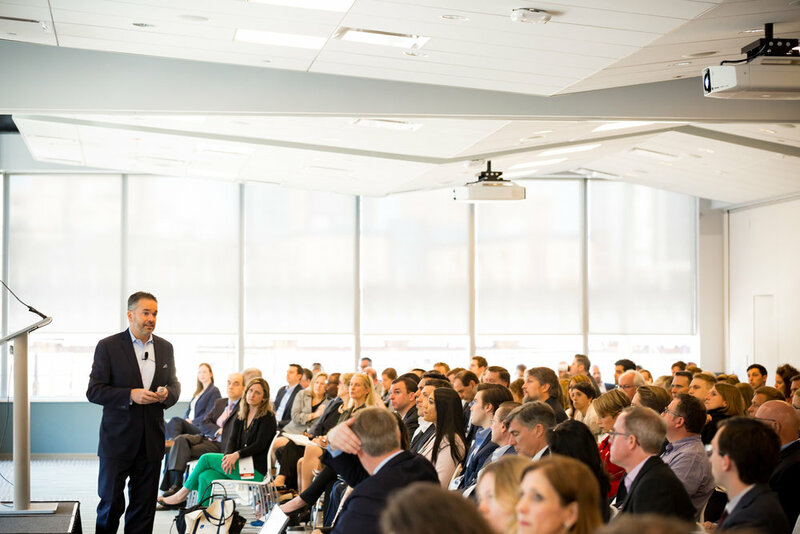 Hear from local leaders, investors, and innovators on Philadelphia's momentum, challenges and opportunities, why this work is so important, and what comes next to accelerate impact together. We are entrepreneurs, business leaders, investors and others committed to advancing public interests while pursuing financial returns. We believe that investments can generate value beyond returns, that it is possible to join profit and purpose, and that everyone has a role in this new economy. The Wharton Social Impact Initiative advances the science and practice of social impact through research, hands-on training, and outreach.